The patch on the bald dude's head? Thanks Jess, off to find the next pic then! NP. Nope, not the dress. 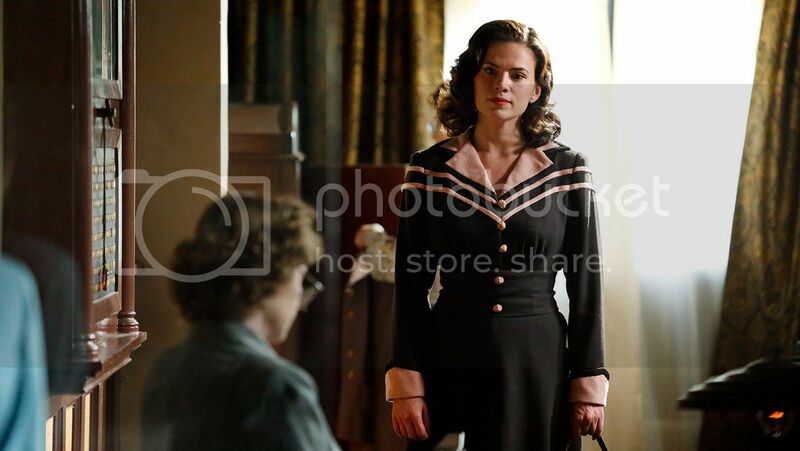 The strap of the bag/purse Peggy is holding? You got it! Yay Jess.